It seems that Autumn has well and truly arrived in the UK. That means only one thing: time to start making those wooly sweaters and cardigans. Yeah!!! I actually started planning the sweater I’m currently (inbetween the projects with my Aida crochet thread) working on, way back in May. If I say “plan” I mean, find a pattern and buy the yarn. The dark grey Garnstudio Drops Merino Extra Fine was bought on Mastercard Morning. Two of those Mastercard Mording projects are completed, this one is the only one left to go. I’ve since changed my mind about the pattern though. I really tried to get my head around Doris Chan’s Talle Latte but I just couldn’t do it. It was causing me so much stress to figure out what she wanted me to do, that I just gave up and looked for something that I would enjoy making – enter Lionbrand’s Driftwood Pullover. I will only refer to it as Driftwood this once though… Watch this clip from Meet the Fockers, and you’ll know why. Until I find a more suitable name for the sweater, I’ll just call it The (mainly) Grey Sweater. “Mainly” because I’ll be adding Redcurrent red to the grey. Surely you’ll know by now that I would be incapable of doing a whole sweater in a solid charcoal grey. No Sirree. I’m going to use the Sublime Extra Fine Merino for the neck, wrist and bottom edging. Right? Can you see it? The tiny lines of red just to add a pop of colour to the dull grey? Yes Sirree!! 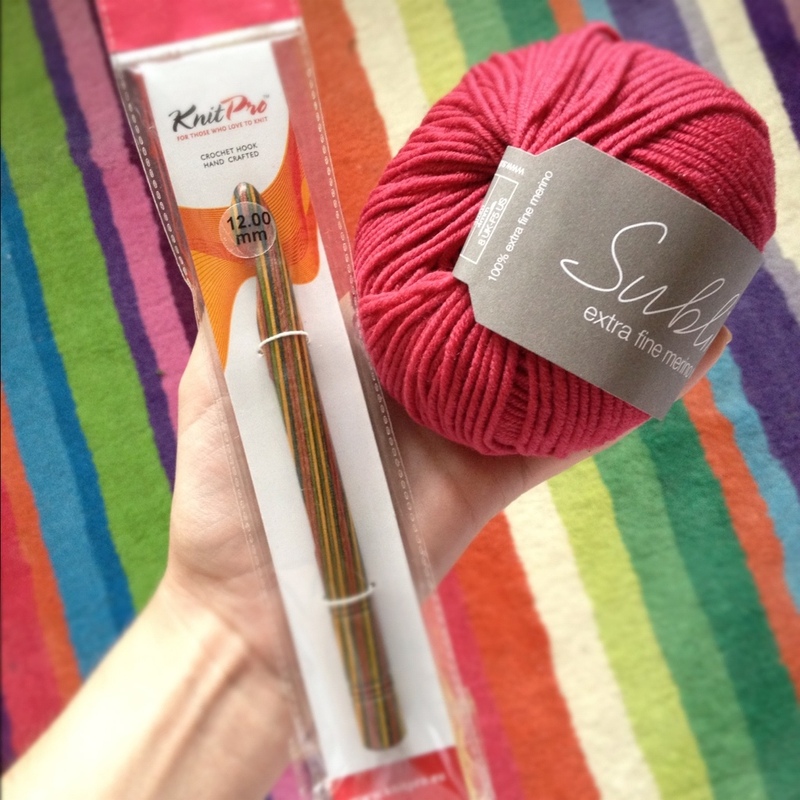 The Sublime was bought at a online haberdashery store I stumbled upon called LoveKnitting. Now you crocheters shouldn’t be putt off by the reference to knitting. As can be seen from the photo below, they also sell crochet hooks so it’s not all knitting. I bought the 12mm KnitPro Symfonie hook to take along to the Granny Square Workshop I’ll be attending at Toft Alpaca Farm on Saturday. (Can Not Wait!) I’ve never used Symfonie crochet hooks, but they look so pretty and colourful how could it not be a great crochet hook? 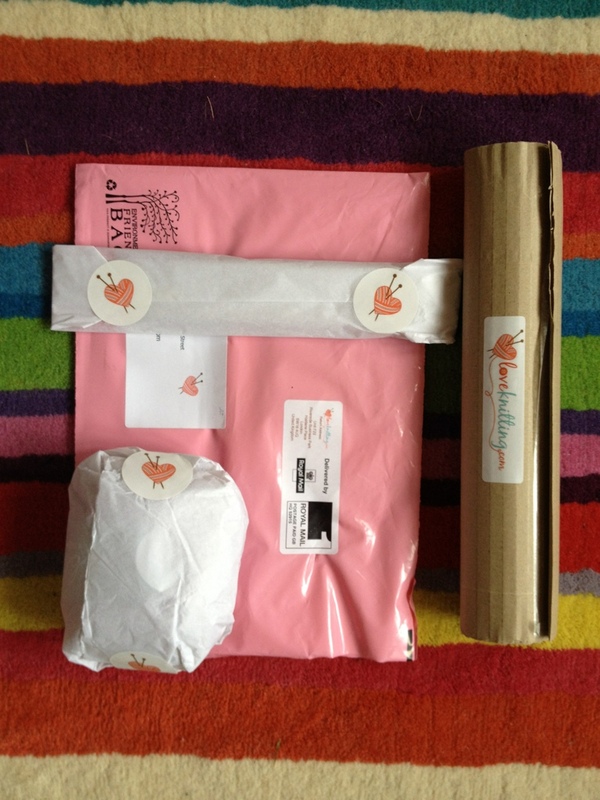 I was so impressed by Loveknitting’s packaging that I just had to take a photo to show you. Can you believe that this is the way a big online store would package their items? It looks like I bought the yarn and crochet hook from an Etsy or Folksy seller. Huge thumbs up to Loveknitting for adding a personal touch! Another great thing about Loveknitting is the 10% discount you receive on your first order and they also do free postage if you spend more than £25 in one go. I also like the way they sort the yarns on their site: you can search according to weight, brand, colour and/or fibre and the whole site has a clean and modern feel. For an online store only operating since April 2012, I think they’re great! Before I spend more money at Loveknitting, I have to finish 42 of the 58 squares for The (mainly) Grey Sweater. The sooner I get through the grey, the sooner I can get my hook into that Sublime Redcurrent and then on to the gazillion other crochet projects on my To Hook List. Oooo, I see that Loveknitting gives you 10% off all yarn bought before midnight 2 November with code 10SPOOKS…. as if I need any more encouragement to buy more yarn! Couldn’t find the pattern on Lion Brand and seem to have lost the ‘driftwood’ connection. 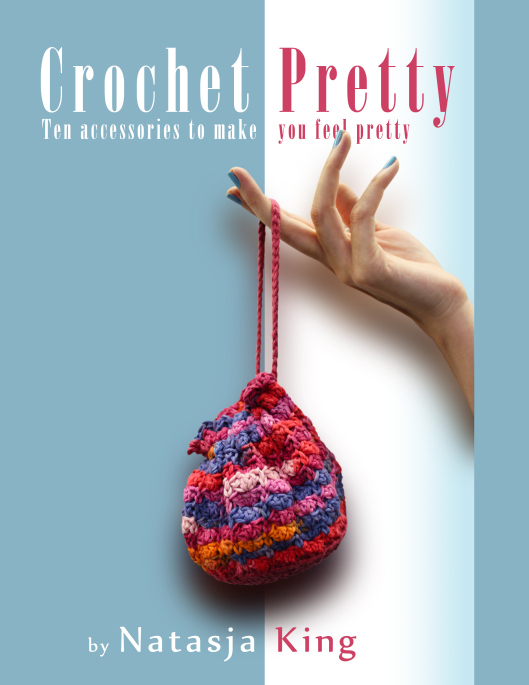 Can’t you just put a picture of whatever you are going to crochet onto your site? By the way, we now have the same crochet hooks and I also have the same make knitting needles. Absolutely love, love them. The link takes you straight to the pattern, and you have to watch the videoclip to see the driftwood connection. As for the picture, the first photo in the post, shows the sweater pattern with my balls of yarn on top of the printed pattern. Are you looking at the blogpost from your mobile…? Maybe that’s why you can’t see everything? I love the pattern you’ve chosen as well as the colours! I must check out that website too! The crochet hook you’ve bought looks interesting! Loveknitting’s packaging looks scrummy! I am a great sucker for looking at something nice, feeling the lovely paper . . . Love the idea of your sweater in charcoal with the teeny bit of red. Cheers! I have yet to find the hooks. I have needles and just love them. I am currently knitting something using those needles and sublime wool! Both lovely to work with. Enjoy! Thanks for all your inspiration at the workshop on Saturday Natasja. I love your blog! You are a really talented lady. I have used my new-found crochet skills already. I have knitted a fair-isle tea-cosy in the round and have crocheted reinforcing on my “steek” which has enabled me to cut my knitting and create holes for the spout and handle without fraying! It worked!! I now love crochet as much as I do knitting. (and that’s a lot). 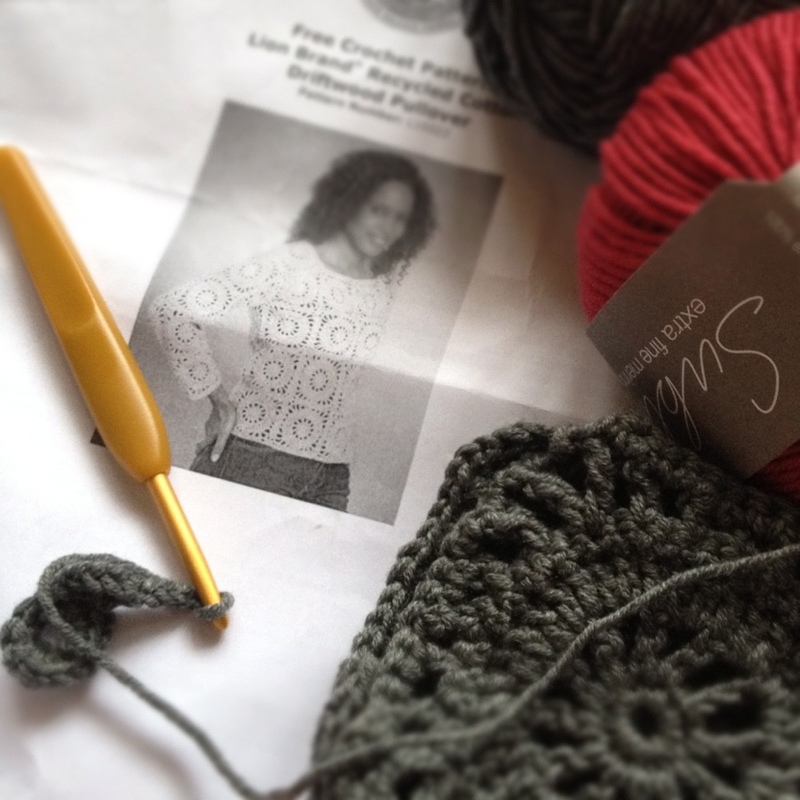 Thanks for all the tips – will give loveknitting a whirl and that jumper looks gorgeous. 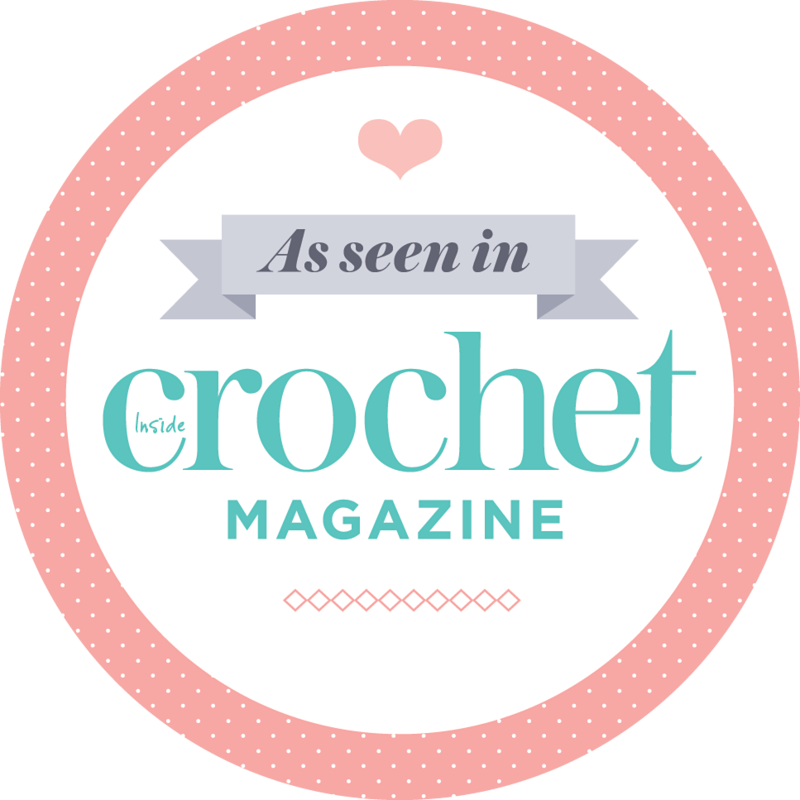 Of to plan my first crochet project….